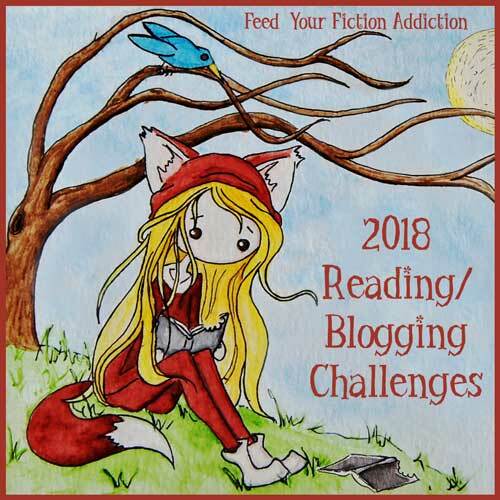 Looking for a List of 2018 Reading/Book Blogging Challenges? Look No Further! For the last few years I’ve posted a comprehensive list of all the book blogging and reading challenges I’ve found. It seems like it’s been a useful resource, so I figured I’d do it again this year! This is a list of everything I’ve found so far, but I’ll be adding to it—feel free to let me know in the comments if you know of another challenge and I’ll add it to the list. The 365 Commenting Challenge @ Read Write Love 28 – Visit and COMMENT on 365 blogs in 2018! Read the Rainbow Challenge @ Mia Sutton’s blog – Read books each month of the year with covers that correspond to a color in the rainbow. Germ Magazine Reading Challenge @ Germ Magazine – This is an A to Z challenge, but you can use title, author, genre or whatever you’d like! Gentle Spectrums @ Riedel Fascination – Choose books based on color or categories. There is a giveaway. Literary Escapes Challenge @ Escape With Dollycas Into A Good Book – Try to read 1 book set in each of the 50 states + the District of Columbia. There will be prizes, which will be announced later. Literary Voyage Around The World Challenge @ Gathering Books – Read books from around the world. This challenge has giveaways. British Books Challenge @ Tales of Yesterday – Read and review books by British authors. This challenge has monthly prize pack giveaways. Australian Women Writers Challenge @ Australian Women Writers – (Sign-ups for 2018 will be going up Jan 1st!) Read and review books by Australian women throughout the year. Armchair Travels and Authors @ Read 52 Books in 52 Weeks – This challenge combines reading certain locales with certain authors. Language Learning Reading Challenge @ Eurolinguiste – This challenge helps you in your quest to learn a new language! Read books that cover everything from culture, language learning, general learning techniques, history, and more. Plus, you’ll be reading both in your native languages and target languages. Travel Through Time Online Reading Challenge @ Info Cafe – Each month has a different time period for you to read from. Family Tree Reading Challenge @ Becky’s Book Reviews – Read a book from the birth year of at least three selected family members. The Platypire Diversity Challenge @ Platypire Reviews – (Sign-ups for 2018 are up and graphics are currently being updated) Read more diversely! 2018 Reading Challenge @ Bookish – This is a list-style challenge with 52 categories and many (not all) of the categories have to do with diversity. The 2018 Reading Challenge @ The Island Reader – A checklist type challenge where you read books that fit the various criteria and check them off. The first person to complete the challenge wins a $25 gift card. While I Was Reading 2018 Reading Challenge @ While I Was Reading – A category-based challenge with a giveaway at the end of the year. “18 for 2018” Reading Challenge @ Blydyn Square Books – Sign-up is via Facebook group. Read 18 books in 2018. There is a list of categories, but they’re just suggestions. There will be a giveaway for one of their books and an Amazon gift card. 2018 Reading Challenge @ Linz the Bookworm – A checklist type challenge with several levels. #Booked2018: A Seasonal Reading Challenge @ The Bibliophage – A year-round challenge broken into seasons. There will be six prompts for each season for a total of 24 prompts spread across the year. There will be a giveaway each season. 2018 Reading Challenge @ For Reading Addicts – Members of the challenge group chose a list of categories for this year’s challenge. The Modern Mrs Darcy Reading Challenge @ Modern Mrs. Darcy – A choose-your-own-adventure reading challenge with twelve categories. Read Harder Challenge @ Book Riot – 24 categories of books to read. Reading Women Challenge @ Reading Women – A list-type challenge. Michael Jackson Reading Challenge @ Worth Reading It? – This fun challenge uses Michael Jackson’s songs and matches them to reading topics! The 26- or 52-Book Reading Challenge @ Hannah Braime – A list-style challenge with options for 26 or 52 books. The Ultimate 2018 Reading Challenge @ Facebook – A list-style challenge with 52 categories. New Years 2018 Reading Challenge @ Unapologetic Romance Readers on Goodreads – This Goodreads group challenge asks you to read 50 romances over the course of the year that fall certain categories. Romance Roundabout Challenge @ Under the Covers Book Blog – Gives you a chance to have a tour of all the many sub-genres that romance has to offer. Read at least one book per listed sub-genre. Victorian Reading Challenge @ Becky’s Book Reviews – Read 4 or more Victorian books with an optional checklist of up to 32 different types. The Les Misérables Chapter-a-Day Read-Along @ One Catholic Life – Did you know that Les Mis has exactly 365 chapters? Read a chapter a day and get the book read in 2018! The Frankenslam! @ Bibliophilopolis – Read the three books that made Frankenstein’s monster so literate. Cloak and Dagger Challenge @ Books, Movies, Reviews! Oh My! – A challenge that incorporates all different types of mystery and crime novels with a monthly linkup and two giveaways throughout the year. Vintage Mystery Challenge @ My Reader’s Block – Read mysteries from the Golden or Silver Mystery Eras. There will be periodic giveaways. Follow the Clues Mystery Challenge @ My Reader’s Block – This is a very unique challenge where you’re supposed to follow a set of clues furnished by the mystery books you read to create a body of evidence to support a book court case. Click the link to find out more! There’s a giveaway. My Kind of Mysteries @ Riedel Fascination – Puts the spotlight on “mysteries” that go beyond the typical cozy mystery or crime genres. There will be a giveaway. Swords and Stars Reading Challenge @ Ms. Nose in a Book – The purpose of this challenge is to celebrate the Science Fiction and Fantasy genres. It has a fun checklist of twenty categories and there will be a giveaway at the end of the year. 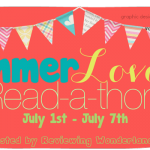 Dystopia Reading Challenge @ Hope, Faith & Books – This challenge has some giveaways. Reading the Bible as Literature Event @ Roof Beam Reader – Read the Bible from cover to cover. His posts will focus on reading the Bible as literature. You can follow along with a daily, weekly or monthly plan. The 2018 Christian Reading Challenge @ Challies – A checklist-type challenge that offers lots of fun options for reading! Book Bingo Reading Challenge @ Fundamental Children’s Books – A Bingo-style challenge that works with picture books or chapter books. There will be a (reportedly huge) prize pack giveaway. Graphic Novels & Manga Challenge @ Graphic Novels Challenge – This challenge has been moved to a FB group this year. Comic Book Bingo Challenge @ Rabbit Ears Book Blog – Lots of fun topics in this one! New Adult Reading Challenge @ The Girl Who Read Too Much – This challenge offers a couple of different ways to participate, one of which is Bingo-style. Beat the Backlist Challenge @ Novel Knight – This fun challenge puts you into teams where you earn points for the team. Then a monthly giveaway winner is chosen from the team with the most points. TBR Challenge @ The Misadventures of Super Librarian – Once a month, pull a dormant book out of your TBR pile and read it! #2017Throwback @ Books and Ladders – Read a book every month that was published in 2017! You can make it fun by trying to read a book that was published in that specific month or you can just choose twelve books from 2017 and read them. Tsundoku Bingo @ The Broken Spine – A Bingo challenge where you’re supposed to use books from your TBR to fill it. Tackle My TBR Challenge @ Kimberlyfaye Reads – Read at least one book from your TBR each month. Link up and watch for announcements and giveaways! Author Love Challenge @ Because Reading – Pick an author that you love and read at least 15 of their books. #ASeriesAMonth2018 Reading Challenge @ Dani Reviews Things – Read a series of two or more books each month. The series should be new to you, meaning you have yet to read the first book. The challenge will have a giveaway with three winners! New Authors Challenge @ Literary Escapism – Read authors that you’ve never tried before! Strictly Print Challenge @ Book Dragon’s Lair – Read those paperbacks and hardcovers! Indie Challenge @ Ninja Book Box – Pledge to read and buy more independently published books than you currently do. They’ll be issuing monthly prompts to get everyone thinking about the greatness of indie publishers! Fanfiction Reading Challenge @ Cat on the Bookshelf – Levels are based on how many chapters of fanfiction you read (since most fanfic is serialized). Kitty Lit Reading Challenge @ Becky’s Book Reviews – Read books with cats in them. Creativity Reading Challenge @ Whatever I Think Of! – This challenge is about reading books on creativity, art, crafts, writing, film making, photography, cosmetology, DIY, cooking, music and any other topic that helps you live a more creative life. Foodies Read @ Based on a True Story – (Scroll down to the bottom of the post for details of the 2018 challenge) Read books that center on food in some way! This challenge has a monthly giveaway. Reading Naturally @ Hotchpot Cafe – Encourages readers to dip their reading toes into books that will deepen their understanding of nature. Has a list of topics to choose from and you’ll get a small giveaway when you complete your list. The Strategic Reading Challenge @ The Invisible Mentor – Books to help you learn the 10 key skills the World Economic Forum has determined professionals need for future jobs. Bookopoly @ Goodreads – This is different than the Bookopoly I had listed on this list last year. This one’s run on Goodreads, and it starts on December 1st. It looks complicated—but really fun! I linked up to the sign-up, but all the threads for the challenge can be found here. Reading Assignment Challenge @ Because Reading – With this challenge you set a goal of how many books you read each month and which books you will read for the year. There will be a giveaway at the end of the year! Library Love Challenge @ Angel’s Guilty Pleasures & Brooke Blogs – Show your library some love! There will be a giveaway with this challenge! Try Something New Challenge @ The Herd Presents – This challenge is all about pushing your boundaries and trying something new! And author, a series, a sub-genre, etc. Bookish Resolutions Challenge @ Because Reading & Trips Down Imagination Road – Create three or more resolutions related to books/book blogging/writing (there are examples but you can make up your own). There will be a giveaway at the end of the year. Read and Write Challenge @ BTH Reviews – The idea is to read a book, then take the first sentence and use it as a springboard for a totally new book idea. (You include a summary of the idea or another sentence that could follow.) This challenge includes a giveaway! Thanks for the list. I’m doing the Discussion Challenge for sure. I’m tempted to try the Popsugar Challenge as well. I’ve tried it before and never finished it. Signing up for the Newbery Challenge might motivate me to actually read those books. I haven’t decided which ones I’m doing this year yet either—there are so many that sound great! Thank you for the list. Great! Annemieke recently posted: #ReadersCrossing Sign-Up – Come Camp at My Campsite! Thanks for linking to my challenge! This is my first year hosting one and I’m really excited. Yay! Good luck with it! It sounds fun!! I love this list! Thanks for sharing it! Thanks for the list Nicole! I am doing a few of these and I see one more to add to my list. I am currently looking for lifestyle and/or blogging related challenges right now. I can’t seem to find any. Maybe I will make one up for myself to do this year. Oh no! And I was just thinking of keeping my challenge list small next year! LOL I have got to check some of these out. Thanks for sharing them. I think that every year … and then I make this list. Doesn’t happen. Whoa! You’re amazing! Can’t wait to go through this. Thanks so much for sharing all of these! I definitely think I’m doing the discussion challenge because those are some of my favorite posts and I want to do more! I also think I might do the Beat the Backlist challenge since that’s a personal goal for me anyway! I always love the discussion challenge—even when I’m not writing as many discussions myself, I love reading them all!! I’m trying to figure out if you are the little angel on my one shoulder or the little devil on the other! *LOL* J/K Seriously, though, I think I salivated a little when I saw your post. Thanks for stopping by! I added your #LetsReadIndie challenge to the list! Wow! So many challenges!! I’ll have to really look over the list later and make some decisions. S. J. Pajonas recently posted: OZONI AND ONSENS Is Now Available! I know, there are an insane number of challenges, and it’s so hard to choose! I don’t know why I’ve not discovered your blog before but I’m glad I did now. Thanks for compiling a master list. How awesome! I’m making a list this year and finally joining in on some *happy dance*. You’ve definitely inspired me Nicole! Yay! Hope you find the perfect challenges here! I’m glad I could help! I’ve been updating this post often, so feel free to check back and see what new challenges have been listed! Woop woop! Thanks for the list, and thanks for including the Finishing the Series challenge!! we’re very excited to be hosting! You’re very welcome! I’m happy to help spread the word! Something for EVERYONE (some of the challenges are hilariously specific). It’s hard to hold yourself back from joining too many! Do you accept reading challenges that are only 1 month long? In June, I host the Louisa May Alcott reading challenge. And during the holiday season (right now!) I host the Literary Christmas reading challenge. I typically put year-long challenges on here, but I’m happy to help promote your shorter challenges in my Sunday Posts! I’ll go check out your blog! I think this definitely qualifies—I added you to the list! Thank you!!! 😂 It looks awesome! I’m excited to have been led here. There are quite a few challenges that I haven’t heard of and am considering doing. I also have a Bingo challenge called Tsundoku Bingo. A new bingo card will post every quarter (Winter, Spring, Summer, Fall). It starts in January. It would be great if you could add it. Your challenge is on the list!! Good luck—I hope you have a successful 2018! Thanks for including the Deal Me In Short Story Reading Challenge on your list. Much appreciated. Have a happy reading year in 2018! You’re very welcome! I love that there are challenges for everyone!! Gayathri recently posted: Book Tag: Are You Naughty or Nice on the Santa’s list? There are LOTS of options out there! Tarissa recently posted: A Literary Christmas 2017 begins + Link up your Christmas books! I just created one for people who like to read and explore. Kind of a Fiction to Life challenge. I’d love to be added to your awesome list! I just went and checked it out and it sounds really unique and fun! Added it to the list!! You didn’t include the Series Ender Challenge I’ve participated in the last couple years that is hosted by Somewhere Only We Know and Words Fueled By Love. Their sign up page is HERE. Thanks, Lisa! I think I had them on my old list, but when I’d checked, I hadn’t found a sign-up for 2018. I appreciate the update! ooo wow quite a big list. Thank you so much! As much as I am not new to reviewing books, I am a noob when it comes to challenges and other things related to book blogging. So this is quite a find for me. I’m really glad I could help!! I’ve added a challenge that mixes reading fiction with writing fiction: 2018 Read and Write Challenge. The idea behind it is to use a book’s first sentence as a springboard for a totally different book idea. You’re never too late! That challenge sounds fun (and a little scary!). I added it. Thanks for including When Are You Reading!! I’m so honored to be first on the list in my segment! Thanks for showing readers this fun challenge. Happy reading! Thanks for hosting it! I LOVE all the challenges this time of year! I see you’ve added blogging challenges. Awesome! Have you considered adding the April Blogging from A to Z challenge? I don’t usually keep track of temporary challenges, but maybe I should start. At the very least, I’ll make sure to mention you guys in my next Sunday Post! Cool. We had 686 people sign up. And there are a few discussions on the main blog’s posts that you might enjoy. Sounds like an amazing success!! Also, thanks for making the list! There’s so many challenges listed I didn’t even know existed! Sorry I’m late getting to this, but I’m adding you to my list right now!